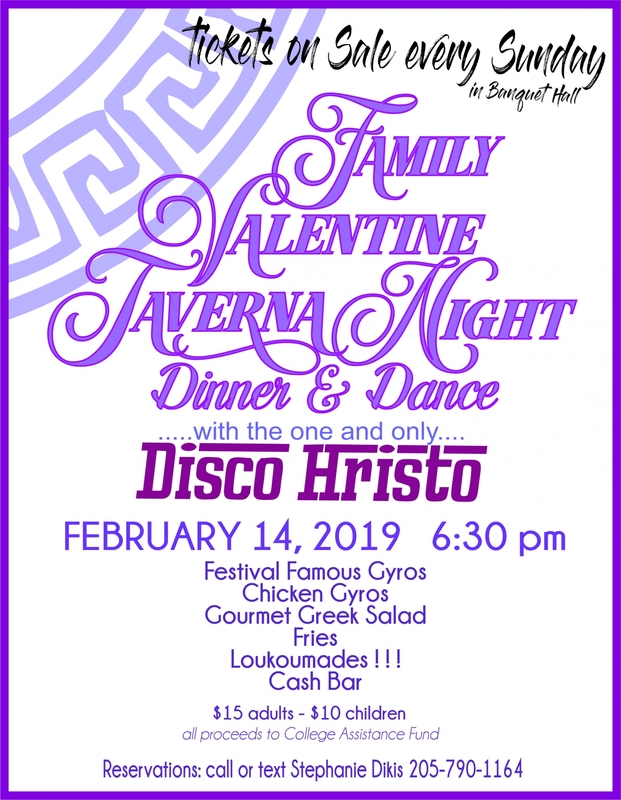 Family Valentine Taverna Night - Dinner and Dance with the one and only Disco Hristo! February 14, 2019 at 6:30 PM. Festival Famous Gyros, Chicken Gyros, Gourmet Greek Salad, Fries, Loukoumades, and Cash Bar. Tickets on sale every Sunday in the Banquet Hall!